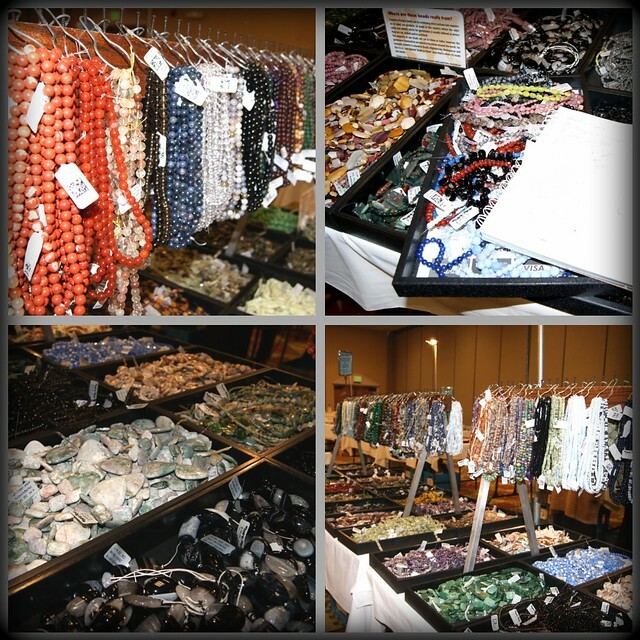 Rings & Things made a stop in Denver on their 2011 Bead Tour, and I was so excited to attend my first wholesale show! I went armed with a list, notebook, calculator, and ample time. It proved to be a great show, and I am thrilled to be a new customer of Rings & Things! 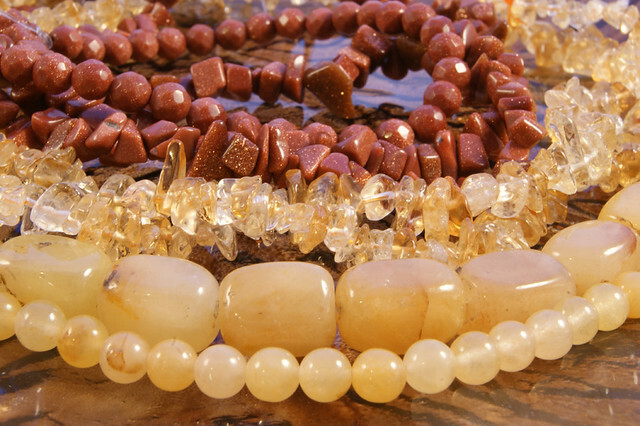 Though they had wire, jewelry findings and crystals available, I was primarily interested in shopping for semi-precious gemstone beads. Brimming with excitement, I browsed the many tables for hours. I felt like I was back in my college geology course w﻿hile I curiously examined the vast array of colors, sizes, styles (and prices) of gemstones. I think it's important to attend one of these shows if you are new to the jewelry business. 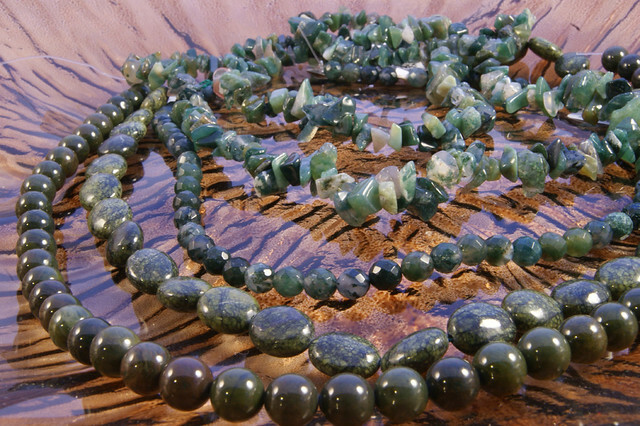 Not only is it an opportunity to buy inventory at a discount, but seeing gemstones in person is much more informative than browsing a catalog. Rings & Things has a beautiful catalog that's well-organized with brilliant full-color pictures, but it makes a difference to see gemstones up close. You can better appreciate their true color, opacity, weight and shape. 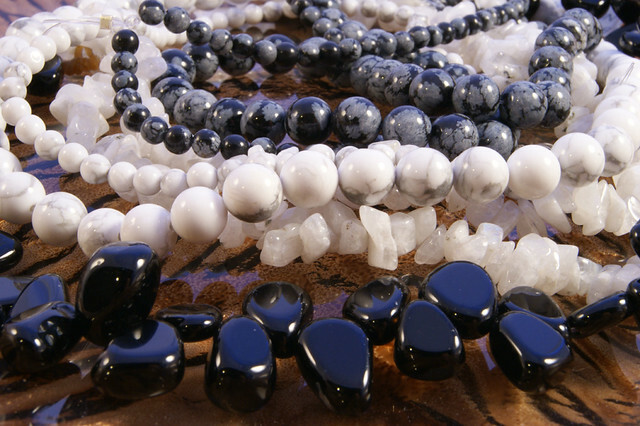 As a "show newbie," I was daunted by the task of selecting beads for my business. They are all so beautiful- how can you choose? First: I established a reasonable budget, and I was determined to stick to it! 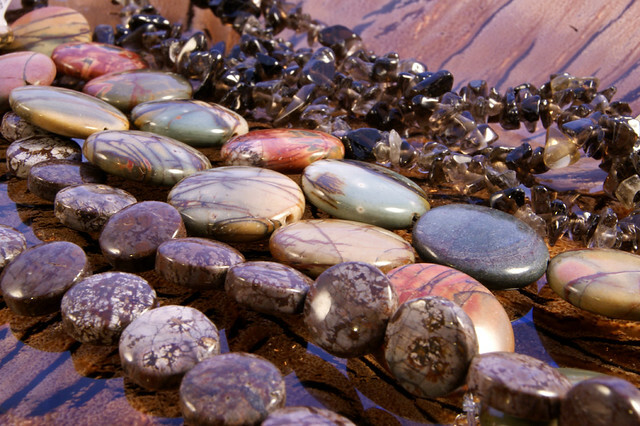 Second: I researched a few bead catalogs and magazines I had to familiarize myself with names of stones, and which types I was drawn to. Third: I made sure all my beads were organized before I attended the show, and I wrote a list of "holes" I had in my inventory. Fourth: I attended the show with the resources I needed to successfully meet my budget goals : notebook, calculator, and time! I had a great time, and was equally giddy when I brought my treasures home to show off! I will definitely be attending the Rings & Things show again next year. In fact, I'm sorta a huge fan of theirs now that I've had the opportunity to experience their service and product! I guess I don't need to ask if you had a good time!!! LOL - Your beaming : ) I am definately jealous of all your goodies. You are so cute! You look like you are high on beads in those pictures! I went to the Rings & Things show in Milwaukee once. Drove down three hours to shop for about three and drive back three! It was worth it. I didn't stick to my budget, I didn't plan out the beads I liked ahead of time, and that nearly did me in! I also went by myself, and I think it would be much more fun to go with someone. I hope to get to one of these again someday, because they have so much, I just can't believe they haul it all around the country like this! Let's see what you make with this gorgeousness. Ha! I did have a lot of fun! I feel like I finally have a "wardrobe" of beads to choose from now- it greatly reduces last minute trips to the craft store! Love your photos, Erin! Sumptuous! I see by your link they're coming to Phoenix in May. Hmmm. I just made a $300+ order for some antique copper chain (spools) and findings to go with my photo bezels I'm using with resin. If all goes well (sales) I'll be ready for more by then! Glad you had such a good time and got all that great loot, too! 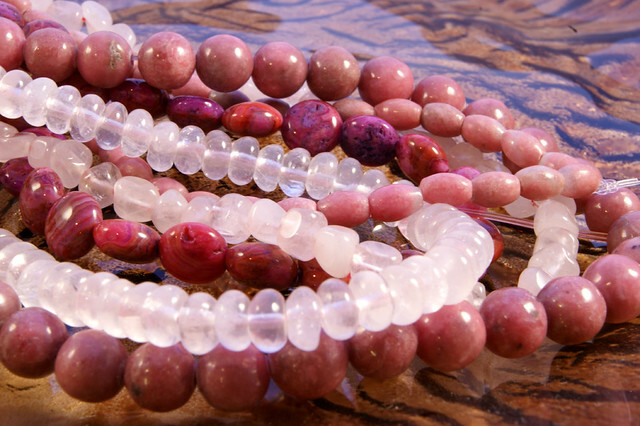 Beautiful beads and your photos are GREAT. I have never seen so many beautiful beads. Im sure you had a Great time!! p.s. been catching up on my blog reading...can't believe the origami posts. my eyes nearly fell out of my head watching the trailer to the origami film. the skill is just incredible! And I'm feeling all inpired by your SPring Colourboard...ah, just lovely. Refreshing to the eye! Hi Erin, looks like we have a happy bead customer there :) Couldn't ask for a better "tutorial" on our bead shows! You really covered all the points, with your great tips on planning for the show. 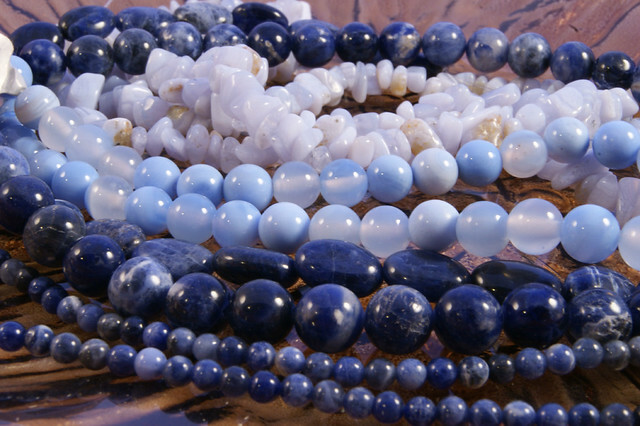 I really enjoy that you bring some knowledge of geology to looking at our gemstone beads--in fact you might like browsing our Gemstone Beads Index too. Thanks for a super great blog article! 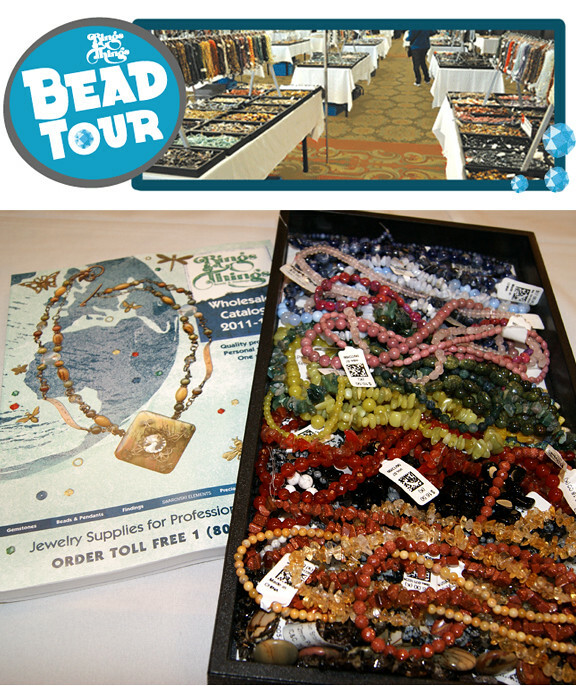 home base of the Bead Show Tour! I went too and loved it! Would you be interested in maybe getting together to talk or bead sometime?! Email if you think you might be interested. 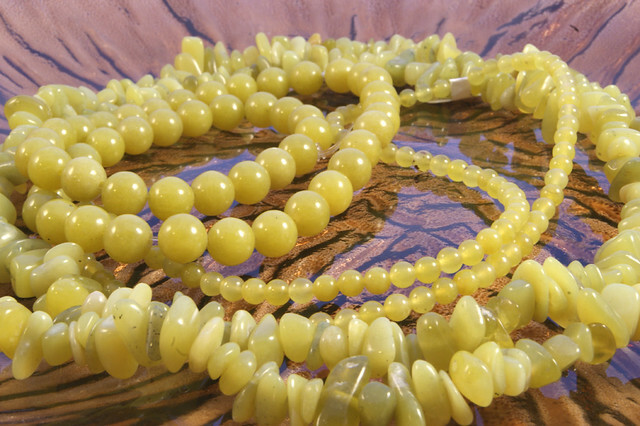 I'd love to connect with another bead blogger in Denver! 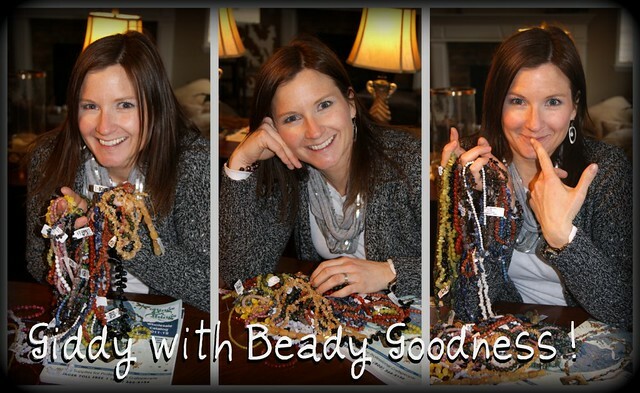 Giddy with beady goodness, oh how I love that feeling!!! Looks like you had a great plan of attack and came home with a wonderful stash! 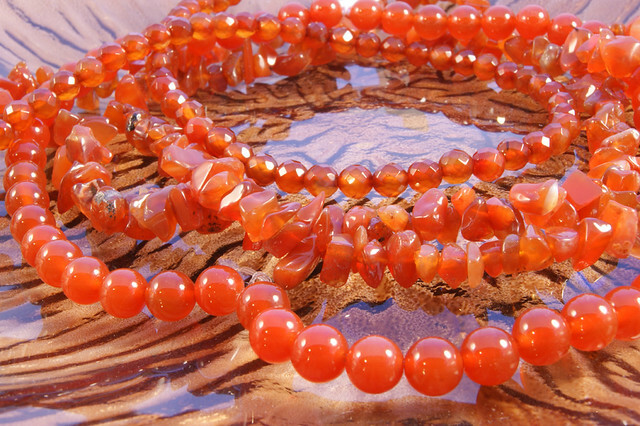 When you are working with jewelry then you must have a good knowledge about the gemstones and also all kinds of beads or stones or metals that you using as raw material.Good to know about the exhibition.